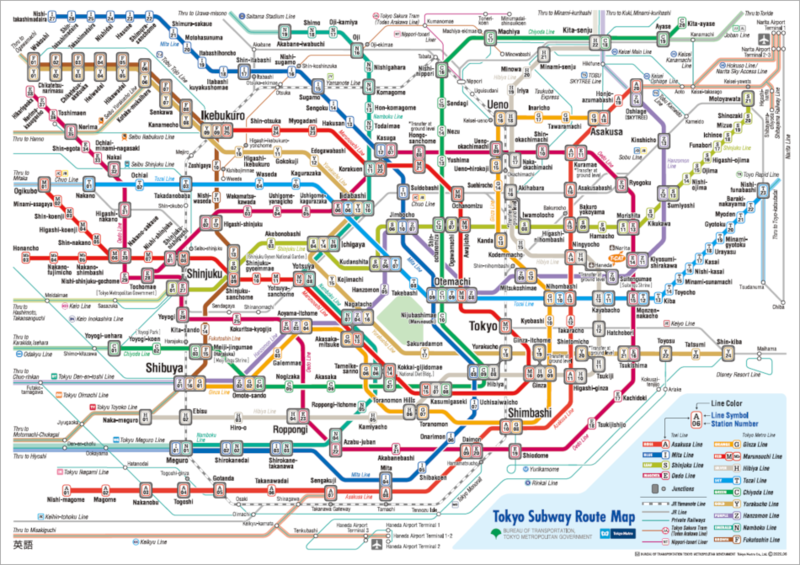 Here you can download the Tokyo Metro subway map. Station numbers consist of a letter representing the subway line and a number for the station. They are circled with a color that represents the subway line making it easy to find your station. The alphabet letter represents the subway line name. In the subway route map, the station number is shown according to subway line. Station numbers are circled with a color that represents the subway line. 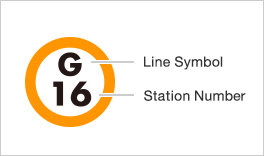 It is easy to know the station number for the subway line of your desired station. It is easy to know the number of stations until your desired or transfer station. It is easy to know if your train is going in the desired direction. Conventional subway line and station names are displayed in addition to station numbers.